We moved to LA last year from Tennessee. 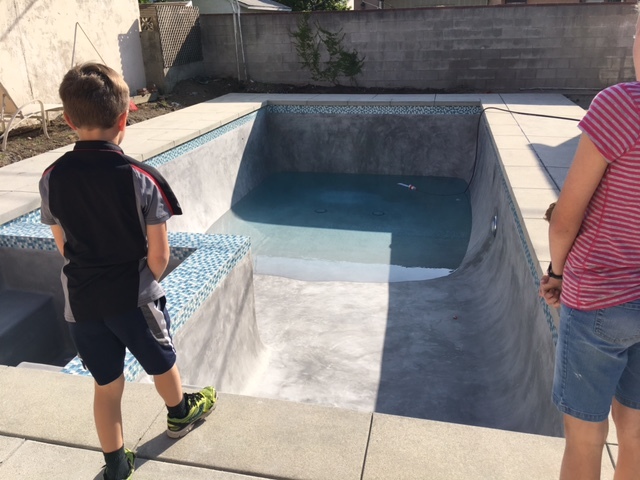 A house with a pool was on the wish list but with the super competitive real eastate market here we were lucky to get one with four walls and a roof. First we moved the kitchen and turned a bedroom into a sunroom so that we would be able to see the backyard from the kitchen. 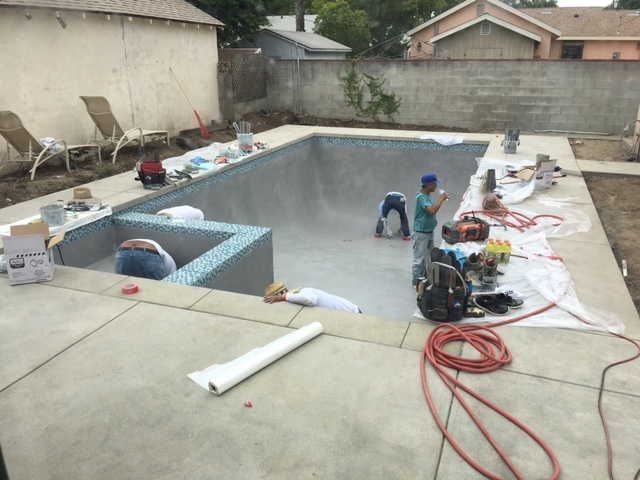 When that was finished we pulled the trigger on the pool build. We're trying to keep it relatively budget conscious without sacrificing functionality. 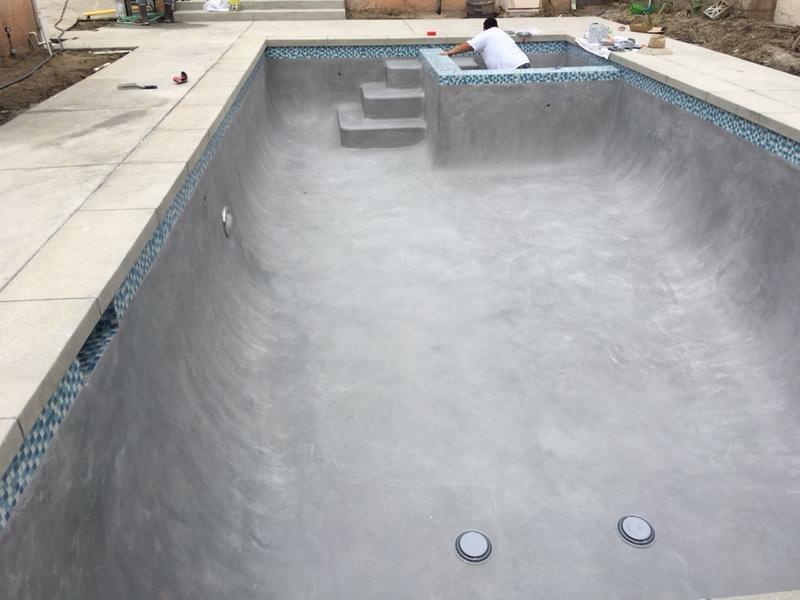 FG and vinyl were not an option, in our area they are not considered "real" pools at resale, so that decision was made for us. Wife wanted the pool as long as possible as she's convinced she's going to swim laps in it (I have my doubts) so it takes up most of the backyard. We ended up with a 14x30 rectangle layout with a 6x6 spa in one corner. 6.5 foot deep end. Considered a sport profile but decidedAc that deeper was better for the way our kids play in the pool. Our pool builder defaults to Jandy so I went along with that. 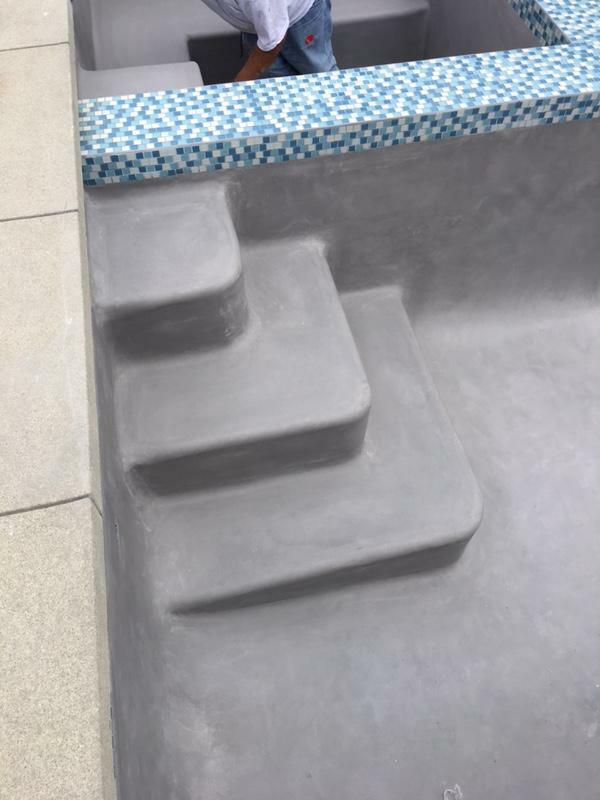 The waterline tile was installed last week. If all goes well we'll get plaster early this week. Our last big decision is white or light gray plaster. I lean towards white but wife loves the look of gray. My TF-100 is on the way, I plan to use TFP from day one. I'm thankful for what I've already learned from you all. Looks very nice and the plumbing job is very clean. It looks great! What is the name of the tile you used? It's NPT Allure "Caribbean" 1x1 glass tiles. The color is much nicer than the picture on their website. We're happy with how it looks so far. We were worried it may seem a little "80's" but we didn't like anything else better. It looks fantastic! More of a mid-century feeling I think - 50's-60's. Love it! I'm very partial to grey plaster. It was our easiest part of the build. I saw one picture with a medium or french gray plaster - and the water color it yields - and said that's it! We wrung our hands over the plaster choice way more than any other decision. I wanted white traditional plaster but was afraid of it looking dated if we resell any time soon. Wife wanted The NPT stonescapes pebble Tec knockoff. It was only $2600 more but in the end we decided we wouldn't get $2600 more enjoyment out of the pool and it wouldn't affect our resale value. Plus we're not likely to still be living here by the time the plaster will need to be redone. Oh, that's looking great! I love your tile. The gray plaster is going to give you lovely water color for the tile. Are the kids still standing there watching it fill?? Even from their backs, they look soooo focused!